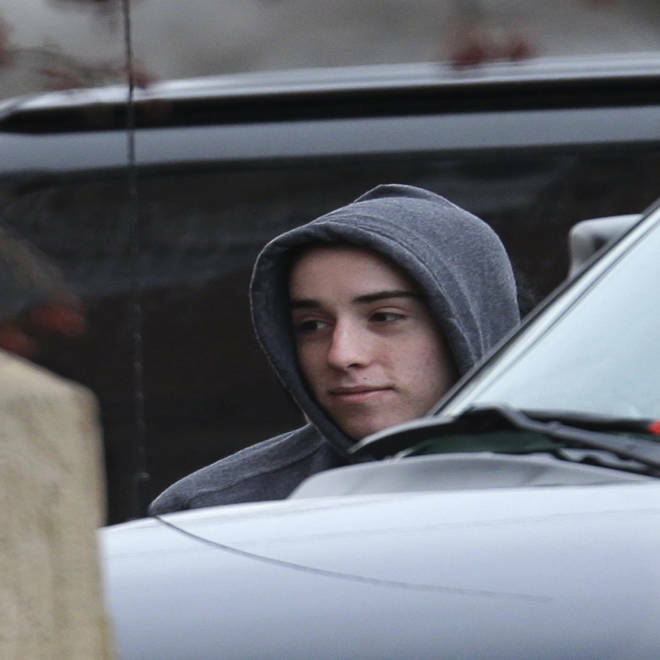 T.J. Lane is escorted into the the Geauga County courthouse Tuesday, Feb. 26, 2013, in Chardon, Ohio. The Ohio teenager charged with killing three students at Chardon High School in February 2012 pleaded guilty Tuesday to charges of aggravated murder. Prosecutors said that T.J. Lane fired 10 shots at students at the suburban school outside Cleveland. Lane was waiting for a bus to an alternative school he attended before walking into the school cafeteria with a knife and a .22-caliber pistol and opening fire. Lane has admitted to shooting at students, investigators said, but did not give a reason for his actions. Three victims — Russell King Jr., Demetrius Hewlin and Daniel Parmertor — died in the shooting. Lane, 18, entered the plea to three counts of aggravated murder and other charges in an agreement with prosecutors Tuesday. Prosecutors agreed to agreed to remove death penalty specifications as part of the plea. Lane will be sentenced March 19 after the completion of a background investigation, the Cleveland Plain Dealer reported.